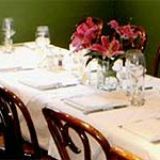 Hardys restaurant is a brasserie style venue which serves British cuisine accompanied by an extensive wine list. 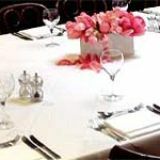 The venue is located in Marylebone and can cater for intimate candle lit dinners and business lunches. Do you work at Hardys? What did you think of Hardys? I'm a vegatarian and was really impressed with my meal here. 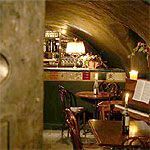 Good bistro fare and charming ambience is a winning combination for this brasserie in the heart of Marylebone. Hardy's is a brasserie located in a quiet side road by Baker Street. The front dining room is more like a gastropub, all wood and rich in colour, while still very comfortable and laid back. The dining area at the back is for a more sophisticated experience, with the romantic ambience framed by subtle lighting. Hardy's is a neighbourhood favourite and with its warm and elegant decor and dimmed lighting, it has a classy yet unpretentious feel, reminiscent of a Parisian brasserie. It's perfect for a nice, quiet dinner but service can be a little slow and indifferent, as staff seem to focus on their regular clientèle more than on occasional diners. The menu changes frequently, is well thought-out, and consistently made from excellent produce. Prices do reflect this, as they are higher than the typical brasserie, but within the price bracket of upmarket Marylebone. Hardy's specialities are the fishcakes, served with a poached egg and tangy hollandaise sauce. The dish (which can be ordered either as a starter - £7.95, or as a main course - £13.95) is well-balanced, though the recipe of the fishcakes itself has recently changed to reflect a more traditional, less spicy take - a change that has drawn a mixed response from diners. Main courses feature hearty, traditional British favourites such as a great version of fish and chips (£14.95): the crispy batter evenly clings to the fish without drenching it, and the home-made tartare sauce is just excellent. The shepherd's pie (£12.50) is also very traditional. Presented in a simple oval dish, the dish is pleasant, albeit a little bland and predictable, and it would look better if the petit pois were served in a ramekin, rather than being scattered around the plate. For vegetarians, the wild mushrooms ravioli (£15.50) is a luscious dish made up of two pasta parcels generously filled with wild mushrooms on a bed of cavolo nero; accompanied by a large amount of cream-based sauce. The dish is almost too rich, but enjoyable nonetheless. Desserts are, again, pretty traditional, though some have some impressive and complementary additions, such as a rhubarb crumble (£6.50) with ginger ice cream on the side, and treacle tart (£6) with salted caramel and creme fraiche. A generous cheeseboard (£7.95) is from Neal's Yard. Sourced from small producers, the wine list is arranged carefully by style and features a diverse selection of wines, available by the glass, carafe and bottle. 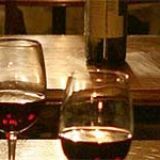 House wines starts at £16 a bottle; a very nice prosecco comes in at £24.95; and a lovely Sauternes (£4.95 a glass) to accompany a dessert or a foie gras starter are good picks. The décor and ambience are really pleasant, and the food well-executed and flavoursome. 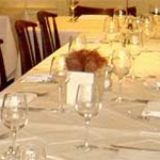 The service could be a bit more personal, but Hardy's still has everything for a pleasant dinner in the heart of Marylebone.